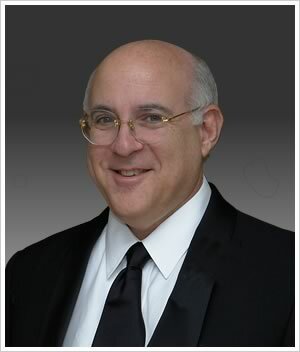 Irwin M. Ellerin has practiced personal injury trial law on behalf of those and their families injured by the negligence of others for nearly thirty (30) years. He is a member of the Million Dollar Advocates. Mr. Ellerin has tried and settled many cases in excess of a million dollars. He has done a considerable amount of work in medical malpractice with additional interest in the area of misdiagnosis of cancer. His staff includes Ms. Nina Goody and Ms. Karen S. Ellerin. Mr. Ellerin has written in the national and state publications on numerous topics of interest to other trial lawyers and has lectured on many varied subject areas locally as well as nationally. He has additionally lectured on failure to diagnose breast cancer and HIPAA. Two of Mr. Ellerin's published articles are available here: Handling a Failure To Diagnose Breast Cancer Case Selecting and Presenting a Failure to Diagnose Breast Cancer Case Ellerin Law Firm has handled trials and cases involving products that malfunction and harm others as well as catastrophic injuries resulting from many types and forms of mishaps and vehicular collisions.